AudioRealism has released version 1.1.0 of AudioRealism Drum Machine (ADM), a drum machine plug-in featuring three realtime switchable vintage drum machine models, combined with a 32-step internal sequencer and pattern controlled fx. Added drop zone to the instrument selector, you can now drag&drop a sample from a file browser window (like explorer or finder) directly onto an instrument slot to load a sample. Dragging multiple samples also works and loads them into consecutive slots. Universal Binary VST for Mac. Tuning smoothed for SPL generators and 909 Hats. Save patch default path fixed. Multiple minor bugfixes and changes. 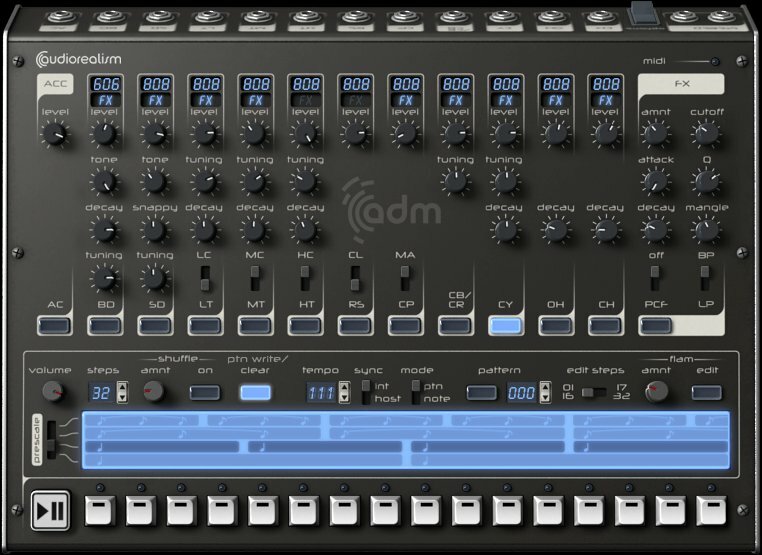 AudioRealism Drum Machine is available for Windows and Mac (VST/AU) and costs 95 EUR (+VAT if applicable). 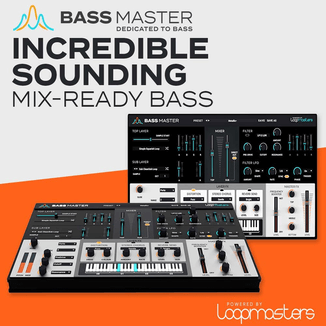 Visit AudioRealism for more information, audio demos and a link to download a demo version of ADM.
ADM is the best Drum-Machine! The effects and sound are great! The price is very small.